Everyone fears family tragedies and no one exactly knows how they will react in the face of one. Most people, when talking hypothetically, say the right things to sound like the ethical superheroes we all wish we were, but we don’t always live up to our ideals in a real life situation. Richard Galli was finishing a Fourth of July brownie when a tragedy changed the course of his family’s life forever. Rescuing Jeffrey recounts his reaction to dealing with the event and its aftermath. Jeffrey Galli, a 17-year-old high school student, went to a party with his family to celebrate July 4. Suddenly, the other kids in attendance alerted Richard and his wife, Toby, to a diving accident. Half expecting this to be a childish prank, Richard was horrified to find his son Jeffrey lifeless at the bottom of the pool. He and Toby dove in to get their son out of the water and try to save his life, performing CPR until EMTs arrived. Richard painfully describes the look of his son and the life coming back to his eyes as the CPR worked. While I’m sure Richard could have written a whole story based on these few minutes and his ongoing feelings and fears, this is only the beginning. The relief of Jeffrey being brought back to life is quickly erased when he hears an EMT say, “Get the blocks. We have to stabilize his neck and head. There may be damage to his spine.” After being taken to Hasbro Children’s Hospital, Richard doesn’t focus on Jeffrey’s struggle, though the descriptions of what he is going through are absolutely heartbreaking. 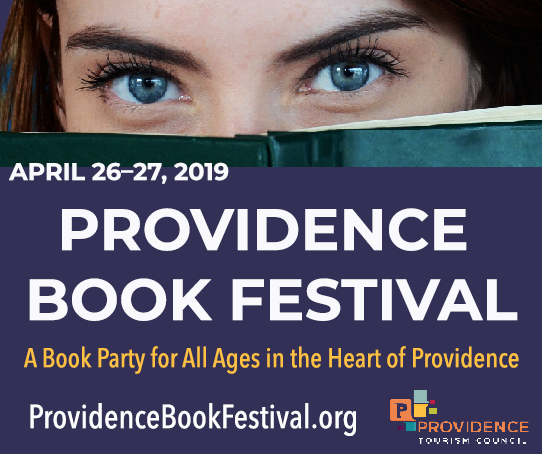 Instead, Richard makes himself the main character, going through his every thought and fear as he weighs options of what to do now that his son is paralyzed from the neck down. 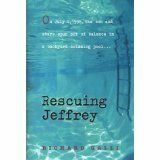 Richard found himself with two options, which is ultimately what Rescuing Jeffrey is about. The first option was Jeffrey becoming part of the system. He would spend the rest of his life in a wheelchair getting 24/7 nursing support for his basic activities of daily living. He would never play basketball in his driveway, drive the car they had just fixed up or feel a woman’s touch. The second option was pulling his life support, which they would have been able to do since Jeffery was under 18. Though Richard hated both options, he was leaning toward the second. He spoke with his wife about this, and the plan to remove life support was set in motion. The rest of the story focuses on the couple’s discussions with each other and the hospital team (who was against taking Jeffrey off life support), and figuring out what they would say to family and friends who would likely disagree with their decision. They also struggled with letting Jeffrey be a part of the decision and tried talking him into wanting to live. The decision to let him live — I’m not giving anything away that the picture and bio of Jeffrey on the book’s inside flap doesn’t — is the story, and a moving one at that. Richard is nothing if not pure throughout this book. He doesn’t sugarcoat anything, even if it makes him look the bad guy. His brutal honesty is refreshing and admirable, making it seem like he gave the reader a guided tour through his brain during these 10 days. I felt like I was there, and the chapter quotes from family and friends was a nice touch. This story may enrage people that someone would actually consider taking their child off life support. This story may inspire people as they read about a community that comes together in the aftermath of a tragedy. This story should make anyone who loves someone dig deep into their soul and consider this fastball that was thrown right at the head of the Galli family. I know I spent a lot of hypothetical thoughts in their shoes. "He doesn’t sugarcoat anything, even if it makes him look the bad guy… making it seem like he gave the reader a guided tour through his brain during these 10 days." No reviewer ever said it better. Previous post: Adventures in Fishing: Bring the Kids!